You all know how much I love industrial/warm style. Though it's literally 2 years away, Adam and I keep thinking about how we're going to transform his apartment to perfection. 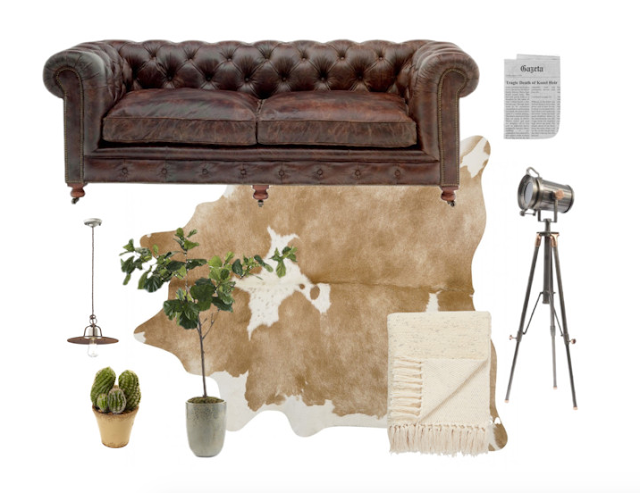 It's going to be brown-toned, warm, with tons of textures and plants and vintage touches. It's amazing how Adam and I have the same style--I can't wait for the day we can live together and decorate. Naturally I've already been planning and making Pinterest boards. Fashion has been really fun lately because the weather is finally chilling down and I can wear jackets, cardigans, even scarves. Must have colors include...mustard, caramel-brown, grey, black, white, and dark green. 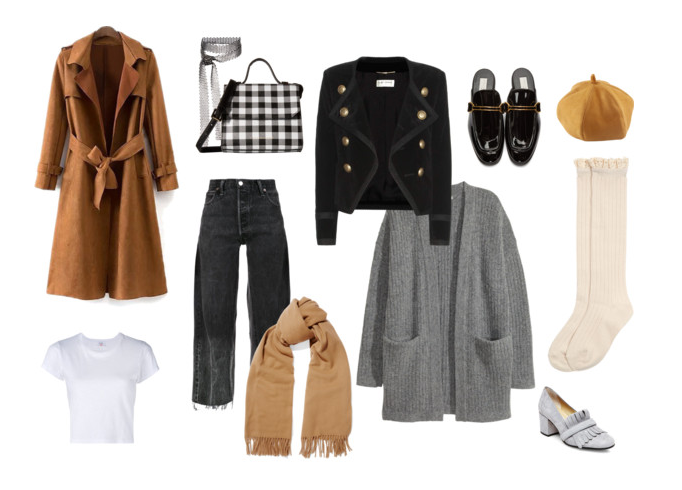 Those are basically my go-to colors always, but in the Autumn they always look so beautiful with the changing leaves and gloomier weather. Also, I love how everything is a bit military/tomboy-esque. 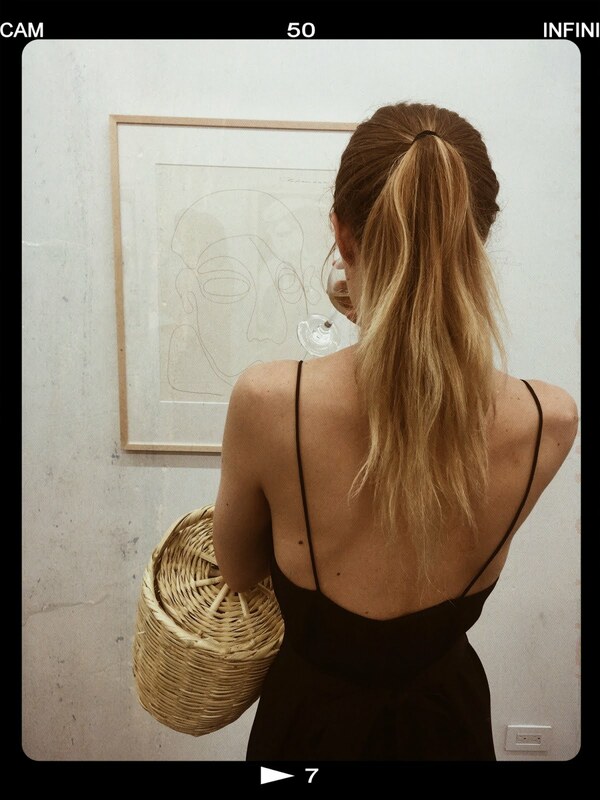 I will definitely be channeling those vibes when dressing this season! Lastly, I just wanted to share a couple of things on my wish list. 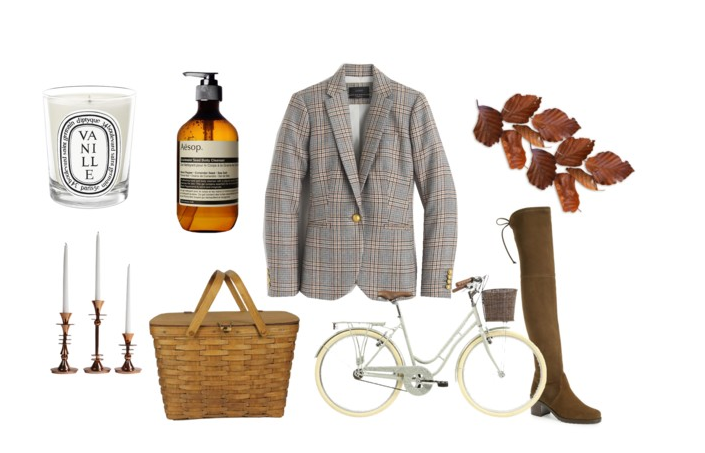 Brown thigh-high boots, a plaid blazer, more skincare and candles and some home touches. These will definitely take time to actually purchase if I decide I want to go ahead and do so, but I just love putting together my thoughts and seeing what I'm thinking about! I really hope you guys liked this and it gave you some fall inspiration :") tell me, what have you been thinking about this month? I'd love to know! This color scheme gives me life. Love it! I've really been loving cozy cardigans and the Fresh Rose Face Mask because it's super hydrating for the fall! Also, kinfolk magazines have been great for fall inspiration. I treasure coffee, vintage bikes, hidden bookstores, empty cobblestone streets, tumbling ivy against New York City apartments, wine, cheese, and you. Autumn feelings, photographed in a studio by Katie Knoll .